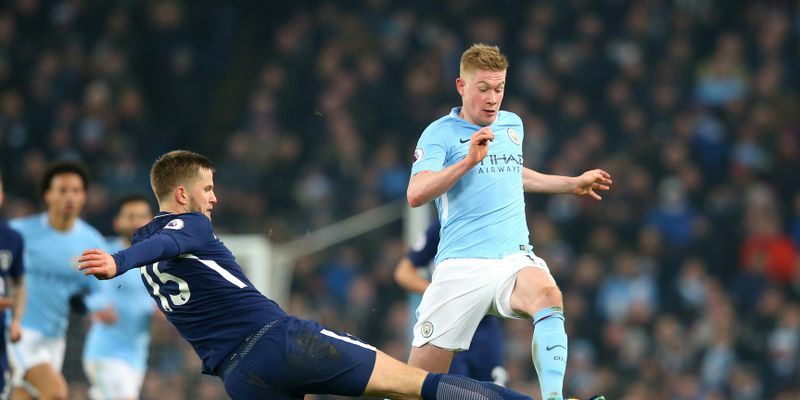 Manchester City have extended their Premier League winning run to a record 16 games with the help of a 4-1 win over Tottenham Hotspur on Saturday. Arsenal secured a first Premier League win in four games after Mesut Ozil scored the only goal to claim a 1-0 victory over a struggling Newcastle United. While both teams might have kept the ball well, it was City who were creating the chances with Spurs happy to rotate the ball in the defence. City got the opening goal through an unlikely source as Ilkay Gundogan, who replaced David Silva in the starting line-up, was left unmarked to head City into the lead in a 14-minute game. Spurs were struggling in the final third and apart from a Harry Kane curler from distance, City had negated their offence almost single-handedly. After the break, City stepped up their game and successfully doubled their lead after a rapid counter-attack ended with Kevin De Bruyne finding the back of the net with 20 minutes to go. Even though Gabriel Jesus missed a penalty and Raheem Sterling hitting the rebound over with the bar, the latter rectified his error with a ten-minute brace. Christian Eriksen finally got Spurs on the scoreboard with a consolation goal in the dying minutes of the game. Newcastle United, who had lost eight of their last nine Premier League games coming to the Emirates, were put under pressure right from the getgo as Arsenal looked to end their three-match winless streak in the league. After some early exchanges, the hosts took the lead through a brilliant Mesut Ozil volley in an uneventful first half. Newcastle showed some fight in the latter stages of the game as Ayoze Perez failed to take advantage of two important chances when his shot and then free header went wayward. The visitors kept piling on the pressure but Arsenal managed to hold off the change to make their way back into the top four. A Marcos Alonso free-kick secured a narrow 1-0 win for Chelsea over Southampton at Stamford Bridge on Saturday. Chelsea slowly found control of the match as the hosts created several good chances to score in the first half. But it was Alonso’s 10th Premier League goal since making his debut for the side that put the hosts in control. Eden Hazard thought he had doubled the Blues' lead after the break, but Cesc Fabregas was flagged offside in the build-up. Chelsea now have 38 points in 18 games, level with Manchester United, but find themselves third due to an inferior goal difference.